due to both positive and negative aspects arising from the industry. 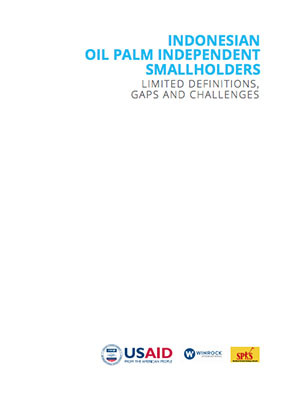 The expansion of oil palm plantations undoubtedly has had a negative impact in some sectors, especially on the rise of deforestation in Indonesia. However, palm oil gives a substantial contribution to Indonesia’s foreign exchange income and has become a main source of state revenues. The Minister of Agriculture, Andi Amran Sulaiman, stated in 2016 that the oil palm industry represents one of the largest contributors to the state’s foreign exchange at more than USD 18,5 trillion. Despite its current 3% decrease in price compared to 2015, the Chairperson of Gabungan Pengusaha Kelapa Sawit Indonesia (GAPKI) says that demand for palm oil has increased from 755,55 tons in 2015 to 1,08 million tons in 2016.